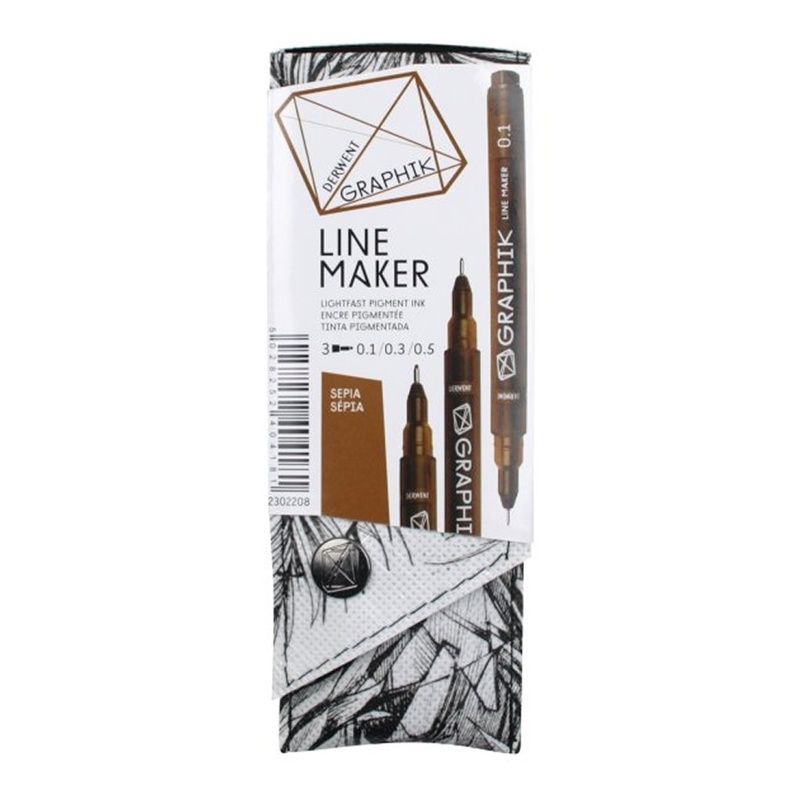 Showing 3 Derwent Graphik Line Maker Sepia Pack of 3~ reviews. Average rating of Excellent. Would you like to write a review? Who ever heard of sepia pens? Derwent have given fans of ink an new way to play. Same range in nib size as black would be great. Loving the tone. A must try for ink fans! The final set to complete my collection of these pens/markers. They really are outstanding and will be using them a great deal.